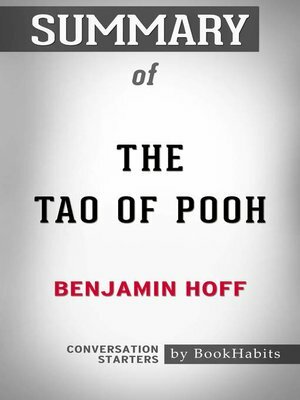 The Tao of Pooh, written by Benjamin Hoff as an introduction to Taoism, in which the author uses the characters from the popular Winnie the Pooh series by A.A. Milne. Hoff wrote it to help Westerners understand the predominantly Eastern religion. The book is written from the author's perspective, as a Westerner, which helps readers relate to his beliefs. The Tao of Pooh was the first book written by a Taoist to make the New York Times bestseller list. It has become a popular book in America and stayed on the list for forty-nine weeks.